9. Prepare a koshihimo sash, and put it under the obi on your back where to decide the size(height) of Taiko part. 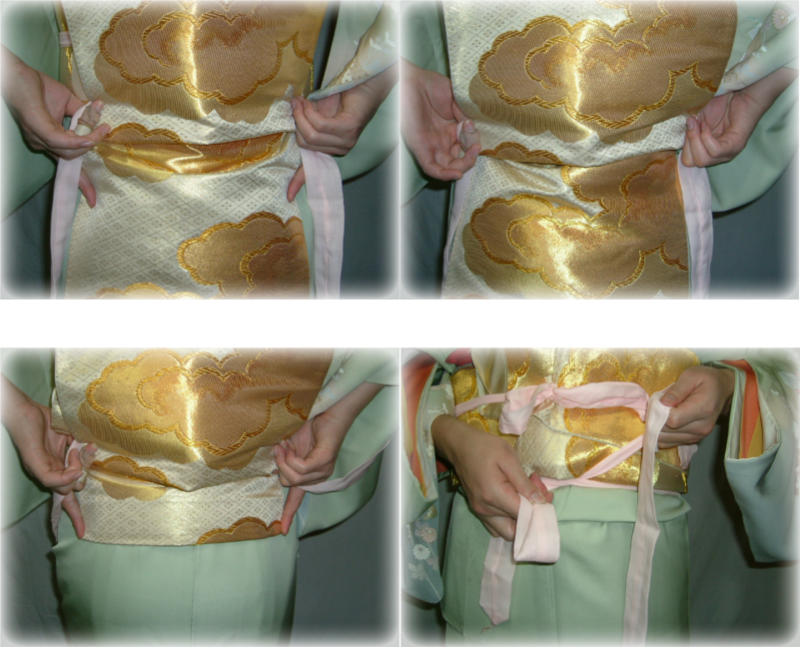 Hold both the obi and the koshihimo sash with your first finger and your third finger, and then reach down your second finger. Put up the obi with your second finger to get the excess part of the obi into the inside of Taiko part. 10. Repeat the process of putting up the excess part of the obi with your second finger, until a length of the obi tail becomes about the same length as your second finger. Stop repeating, and tie the koshihimo sash on your front.